Adam read Medicine and Neuroscience at Cambridge University before completing his clinical training at University College, London. 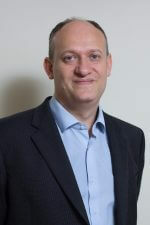 Having completed specialist training in Paediatric Allergy in 2006, he spent 9 years as clinical lead of Allergy at Guy’s & St Thomas’ Hospitals, London – Europe’s largest specialist Allergy service, recognised as an International Centre of Excellence by both the World Allergy Organisation and GALEN (European Asthma & Allergy Network). He is now Clinical Director for Specialist Ambulatory Medicine and a Reader in Paediatric Allergy at King’s College London. Adam chaired the UK Department of Health National Care Pathway for Food Allergy in Childhood and was a member of the National Institute of Healthcare and Clinical Excellence (NICE) clinical guideline development group for the assessment and diagnosis of food allergy in children. He is also the senior author of the Milk Allergy in Primary Care guideline. He currently chairs the Paediatric Committee of the British Society of Allergy & Clinical Immunology and has been elected as President from October 2018. Food allergy, hayfever, desensitisation to food and inhaled allergens eg pollen, dust mite, pet dander, eczema, asthma, wheeze.